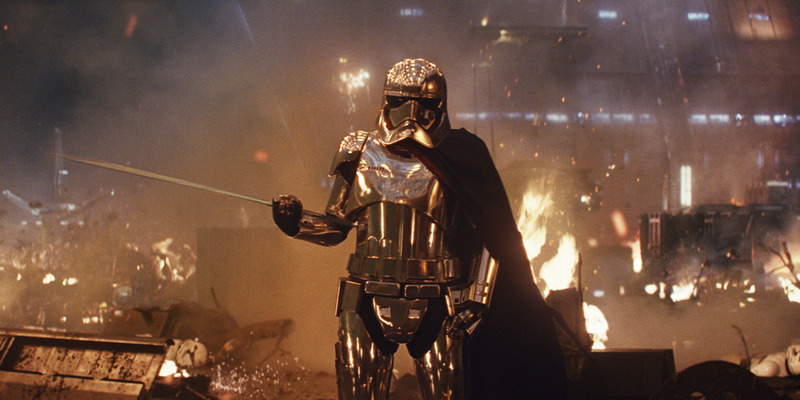 “Star Wars: The Last Jedi” director Rian Johnson explained why Captain Phasma doesn’t get a lot of screen time. The fan favourite also had a small amount of scenes in “The Force Awakens,” so s he may be headed to the Boba Fett-level of “Star Wars” fan obsession. She’s a character that instantly became a fan favourite when unveiled – chrome stormtrooper armour and all – leading up to the release of “The Force Awakens.” But so far we haven’t been able to learn much about her in the two movies other than she doesn’t like First Order deserter, Finn (John Boyega). “The Last Jedi” director Rian Johnson wasn’t coy about it when Business Insider brought up the lack of Phasma in the movie. Johnson has a point. The movie already has a final running time of two-and-a-half hours – the longest “Star Wars” movie ever – and it’s because there are a handful of new characters in the movie that have to be explored. 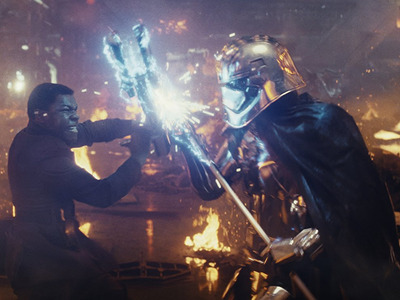 But many fans are disappointed that Phasma didn’t get much of a story arc in either movie. It’s hard to tell if that’s wishful thinking or if Johnson is dropping a hint. But at the very least, it would be nice to learn in “Episode IX” that Phasma survived the fire and is involved in more of the plot in the trilogy’s finale. If not, Captain Phasma will stand alongside Boba Fett as the most underused (and fan-obsessed) “Star Wars” characters of all time. “Star Wars: The Last Jedi” is currently playing in theatres.